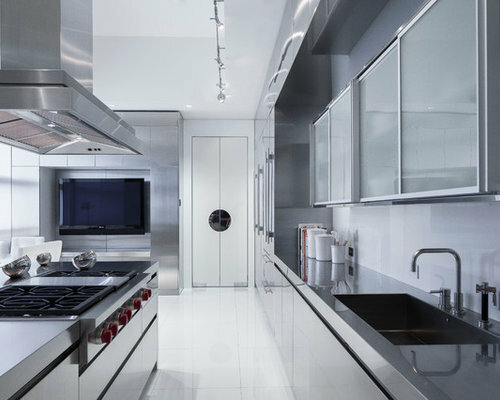 In a unique waterfront new house built in one of the most exclusive neighborhoods in Miami, this kitchen space was organized on a center island plan with the idea of splitting the refrigeration units in two separate areas; one unit closer to the cooking area and the second unit closer to the eating area. 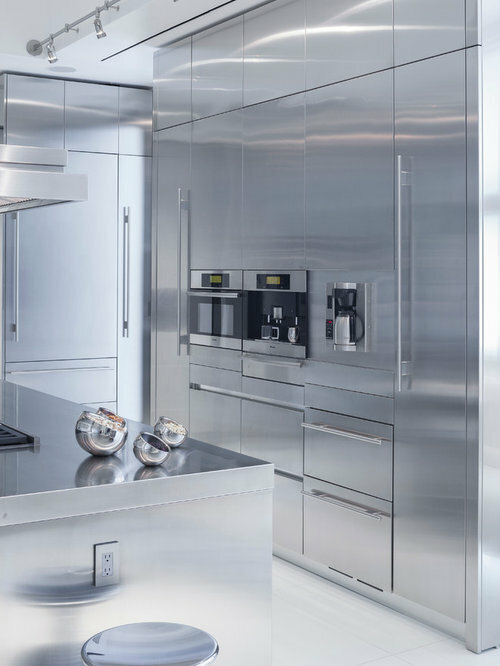 Both refrigeration units blend seamlessly with the kitchen cabinetry through the use of stainless steel panels. 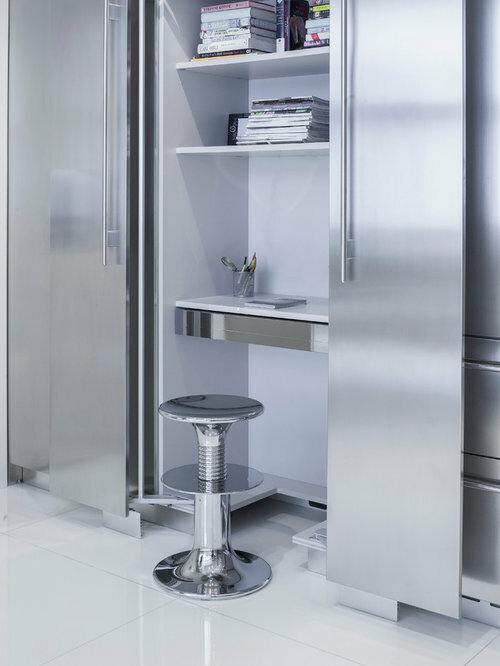 The fully integrated drawers across the cooking area added the needed flexibility to the storage of beverages and ice cream. 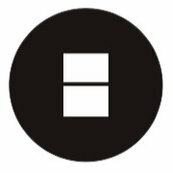 By doing this, the kitchen layout became more flexible and allowed for storage, in areas where it was needed more. 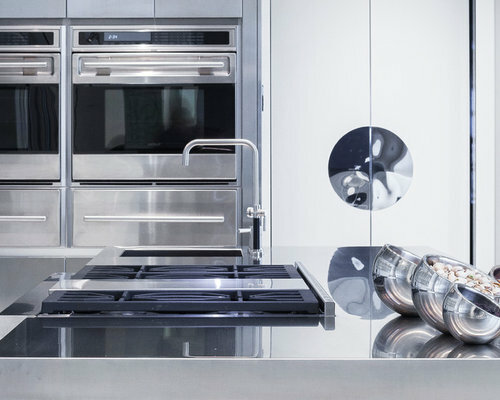 The 48” rangetop in the center island incorporated the professional look to the already pro atmosphere. 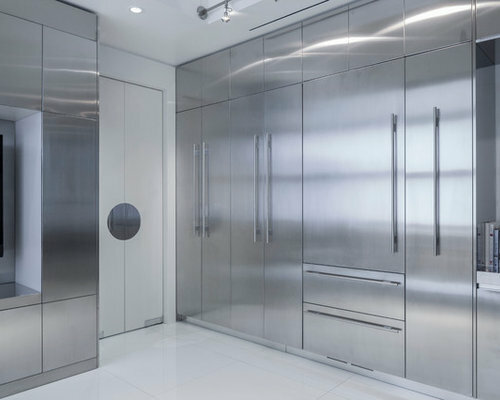 The use of Sub-Zero refrigeration handles in all the tall kitchen cabinets minimizes the visual pollution that usually is present when many different handles are used in the kitchen design. 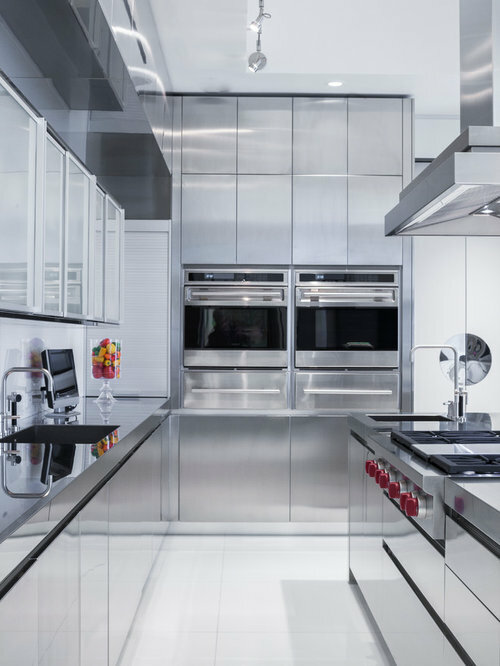 The “all stainless steel” idea, after many alternatives evaluated, created the most sophisticated kitchen space possible, a very pleasant mixture of professional and residential luxury. This kitchen was awarded the Kitchen Design Contest 2010-12 Regional Winner Award.